Sally Dean 365 Flowers: Happy Fourth! I am painting today- but its porch railings and trim on my house . Gotta do that stuff too on occasion! 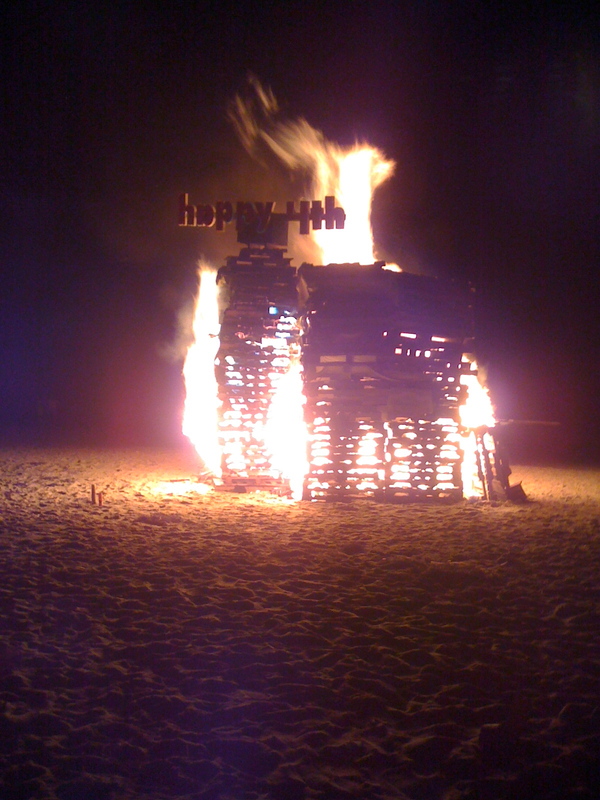 I was invited to a wonderful cookout at Humarock beach last night- the third of July is my all time favorite holiday- fireworks and bonfires galore! Sally, thanks for sharing this photo. In all the years I lived in Duxbury, I never went to a bonfire. So now I know what I missed!